Samuel Forsythe works as the Pastor to students and families. He has been serving at NBC for five years now, with the student ministry. He has a passion for youth and loves to see them grow in their faith. As our generations change and grow He plans and hopes to be a positive influence for Christ in the lives of his students. He serves alongside with his wife JoDonna. Samuel is from Terre Haute, Indiana where he spent his childhood but has lived in the mountains of West Virginia now for 6 years. JoDonna is a native West Virginian from Shady Spring. They met at Nehemiah and have worked together in the student ministry for 5 years now. During the summers he works with a local Christian adventure outfitter called “Alpine Ministries”, guiding whitewater rafting, rappelling, caving and other activities. Taking the experiences and adventure, and pointing people towards Christ with them. 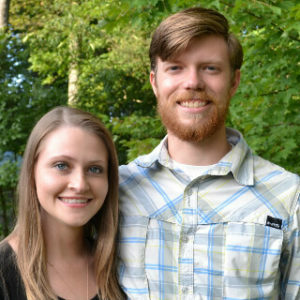 He graduated in 2017 from Appalachian Bible College with a bachelor’s degree, double majoring in Bible and theology as well as youth and family ministry.